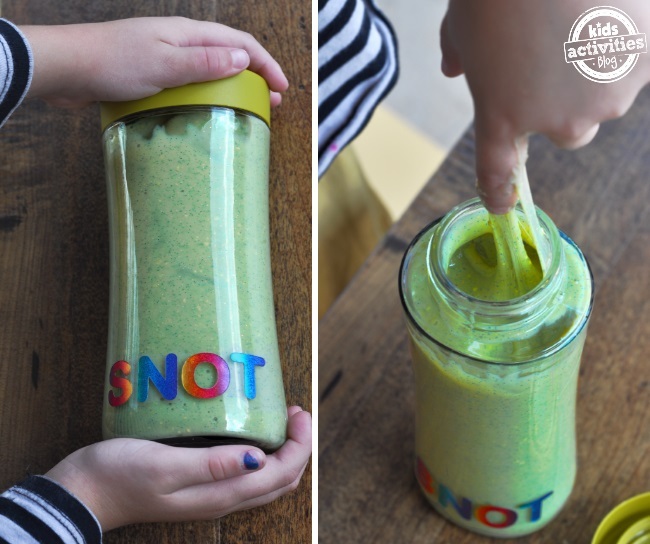 Pretend Snot is the grossest and most awesome slime recipe you’ll ever see! 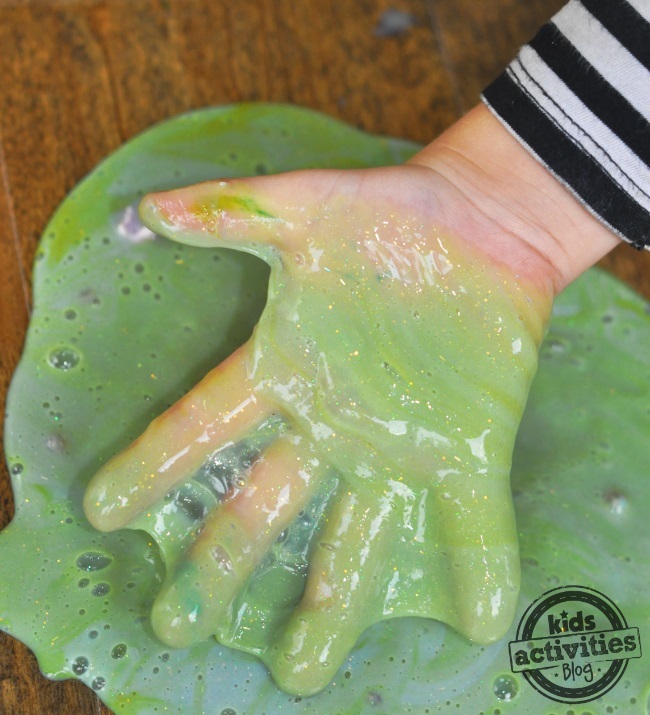 It sticks and oozes over any and everything, but lifts off of hard surfaces much like silly putty and is easily washed off of hands. When my hubby came home and saw our fake snot he just *might* have said he was going to borrow a bottle to use for a silly prank. This stuff is guaranteed to get an “ewwww…” out of kids and those adults who still have some remnants of childhood wonder and imp left in them. 4 oz Glitter School Glue. We used purple clear-ish color as when you add green to purple you will get a brownish hue. 1/8 cup of Liquid starch. 5-10 drops of Food Coloring. Yellow and Green were the colors we used. 1/8th teaspoon of Borax (optional. Without this ingredient the recipe will be slightly harder to clean). Dump your glue into a bowl. Fill the empty glue container with water and dump that into the bowl as well. Mix until the glue is watery. Add the liquid starch and continue to stir as the mixture thickens. The first time I made this I used more starch for a firmer consistency. So feel free to add more if you prefer thick snot. Note: If you are adding more starch, wait about 5 min. Sometimes it will thicken on it’s own. To aid in the cleanup we mixed 1/8th teaspoon (a big pinch) of borax into 1 tablespoon of water. We mixed the water and borax and poured that into our goop. The borax aided in the “release” so when you pick up the snot no residue is left behind. If you are worried about toddlers who put things in their mouths you can omit the Borax and add another teaspoon of starch in it’s place. This stuff is super stringy, super slimey, and looks just like a loogey. P.S. You can leave a pile of this on the table to dry. It still lifts off the surface and keeps the “fresh” look for hours. Would you use this as a prank gift?? Bottle it up and bring it to the hostess of your next Halloween party or play date. 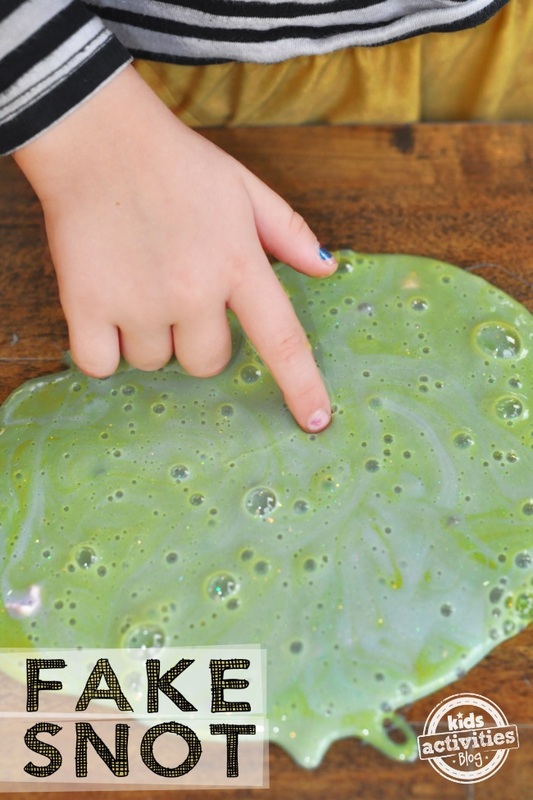 Make your own Christmas tree at home…out of slime! 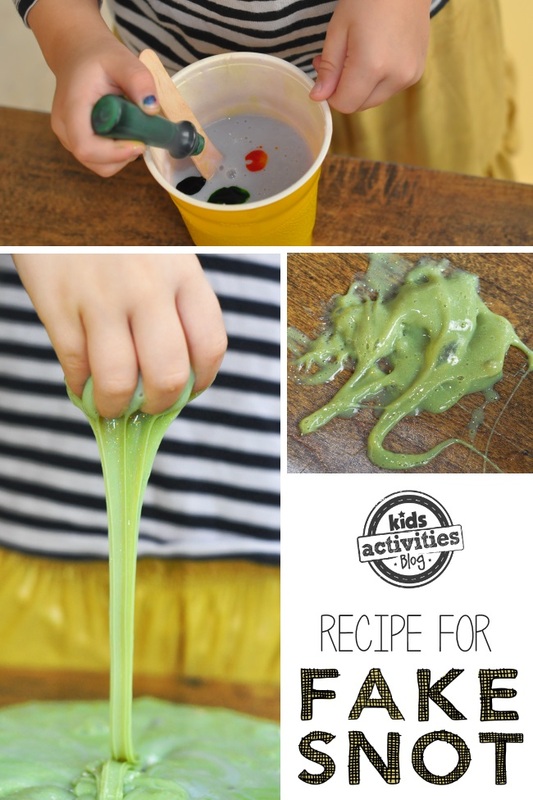 Turn playtime into a fun science lesson with this magnetic slime. 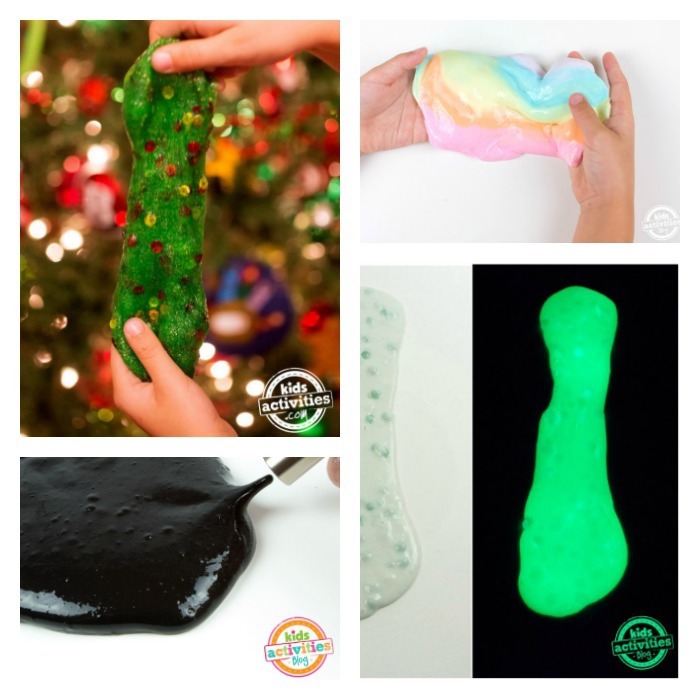 Glow in the dark slime? Count us in! Create your own magic with this colorful unicorn slime. Take a trip to the outer space with this sparkly galaxy slime.